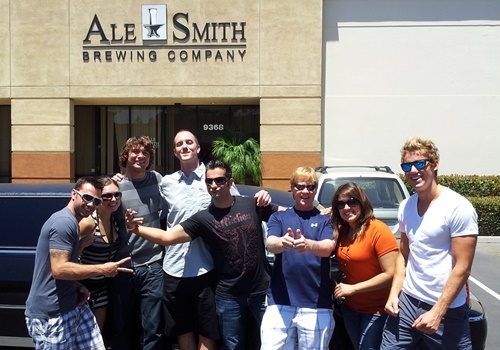 Mark your calendars for March 5th and join AleSmith Brewing Company’s lead brewer Anthony Chen for an Educational Brew Day focused on San Diego’s favorite style, the IPA. Anthony will be leading the group through an all-grain IPA recipe brewed on AleSmith’s very own SABCO system. The IPA brewed that day will also make an appearance as part of the draft list for AleSmith’s famous IPA Day in July. Whether you already homebrew and want to gather some extra tips and tricks of the trade from a pro, want to start homebrewing but do not know where to begin, or just love beer and want to spend the day drinking, this is the perfect event for you! $30- Includes: 5-hour educational brew day- learn the processes from start to finish, 16oz of beer, pizza lunch, & a 32oz AleSmith growler filled with your brew! Email Melissa at Melissa@alesmith.com to reserve your spot! 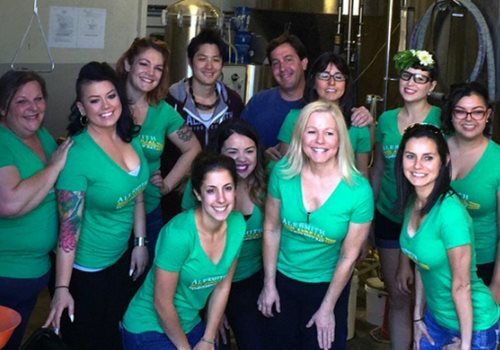 When it comes to customized brewery tours, ranging from a full day of brewery hopping, tasting and eating to a visit to one or two of your local favorites during the evening after work, Aall In Limo & Party Bus can make sure you get there safely and in style, no matter what you are in the mood for! AleSmith has a small, but definitely attractive tasting room without any seats, being dedicated purely to enjoy the taste of the amazing craft beers the brewery produces. The tasting experience is complemented by the friendliness and knowledge of the staff. As San Diego’s premiere limo company, we put emphasis on friendliness and professional customer service. We are always looking to provide our customers with the best limo experience possible. How Does a Brewery Tour Unfold? The fun begins after you have booked your limo with us depending on your group size. Our friendly driver will take you to the first choice of your brewery, which takes about an hour depending on the distance. Enjoy beer tastings, tours and demonstrations at the breweries for about 2 hours, have dinner or snacks with your friends at a brewery and prepare for the drive back. The tours may be customized in any way you choose and could differ depending on events and specials. If you are undecided about your itinerary for a special limo beer tasting tour throughout San Diego, our drivers will be more than happy to help you out. Call and book your limo now at 858-336-1894!